Fernando Augusto "Terere" is one of the best BJJ competitors ever. 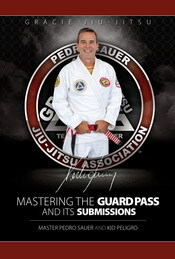 Besides his multiple World titles "Terere" is also a great instructor with World Champion students like Andre Galvao and Rubens "Cobrinha" to name a few. "Terere" is also a super person, while his personal struggles have been widely publicized he faces everything with his great smile.